With over 15 years of the exterior cleaning commercial properties in Kansas City MO , we know ALL the places that mildew, algae, fungus, and dirt like to breed and hide. Our well-trained and equipped professionals will safely remove the debris, insect, and dirt that may be affecting the aesthetic look of your commercial building so that your building can come to life. 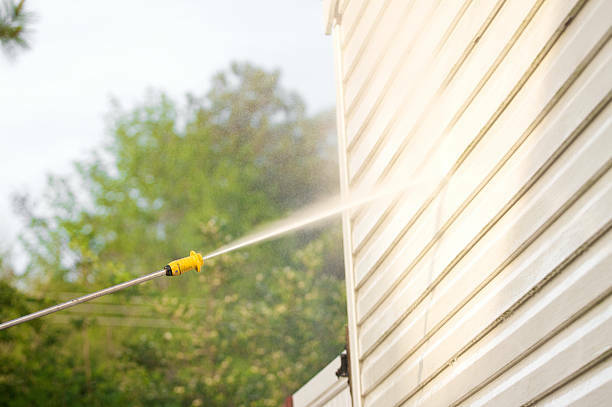 We pride ourselves on having the best cleaning equipment, cleaning system, professional manpower, and top-notch pressure washing services to deeply clean the exterior of your commercial building without damaging any part of it. We understand that keeping the exterior of your property is tedious but essential to attract more customers. That is where we come in. We offer exterior commercial cleaning to businesses that want to attract more customers in Kansas City. We have the experience, skill, and knowledge to clean all sizes of commercial buildings. Our team is capable of providing the right solution to your need in a professional, exceptional manner. In all we do, we aim to always satisfy our clients in all the cleaning we do. Also, we will help you develop the best cleaning schedule that will enhance your commercial building for a very long time to come. The moment you hire us, we’ll shoulder this vital aspect of your business so that you can focus on the essential day-to-day running of your business. Call or message us today to schedule an appointment with us. We’ll be glad to hear from you. The exterior of your house takes a beating from the sun, rain, wind and hail. It doesn’t take long for your house to start to look dirty, grimy or even moldy. A professional house washing service can completely changes the exterior appearance of your house. Our professionals have the skills to power wash all types of surfaces. While we recommend soft washing you house to avoid damages, other areas of your house require a heavy wash from a power washing system. Areas such as a walkway, a driveway, a patio, a deck or a fence can benefit from our power washing service. Our professionals have the skills to safely handle heavy machinery such as a complex power washing system. When you take advantage of our house wash and exterior cleaning services, your house will be the highlight of the neighborhood.